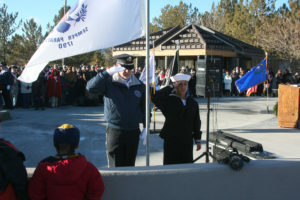 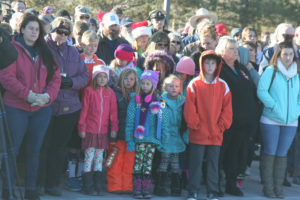 A crowd of about 1,350 turned out in the cold Saturday morning to place wreaths on the graves of veterans as part of the national Wreaths Across America. 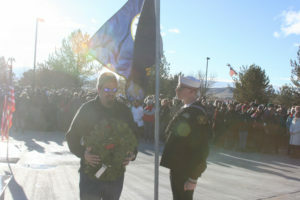 Unfortunately, most of the wreaths were still several hundred miles away. 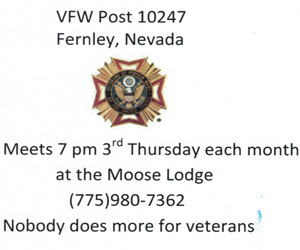 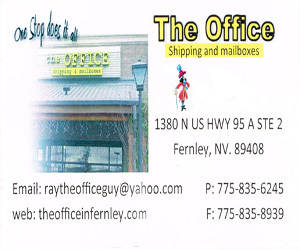 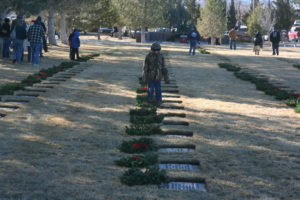 The Nevada Veterans Coalition received about 2,100 wreaths for Saturday’s ceremony, but some 5,000-plus more had not yet been delivered, and were on a truck somewhere in Texas, said Tom Draughon, public relations director for the Nevada Veterans Coalition. 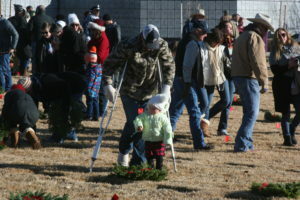 With 2,100 wreaths on hand, the coalition did have enough for everyone in attendance to place a wreath, and after a few brief opening remarks by Draughon, the placing of the wreaths began with family members being afforded the chance to go first and lay a wreath on a loved one’s grave. Draughon said the rest of the wreaths would arrive Sunday afternoon, and the public is invited to come back to the cemetery and place wreaths at 9 a.m. Monday. 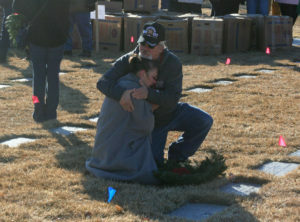 Deborah McGifford is comforted by her fiance after placing a wreath on her late husband’s grave. 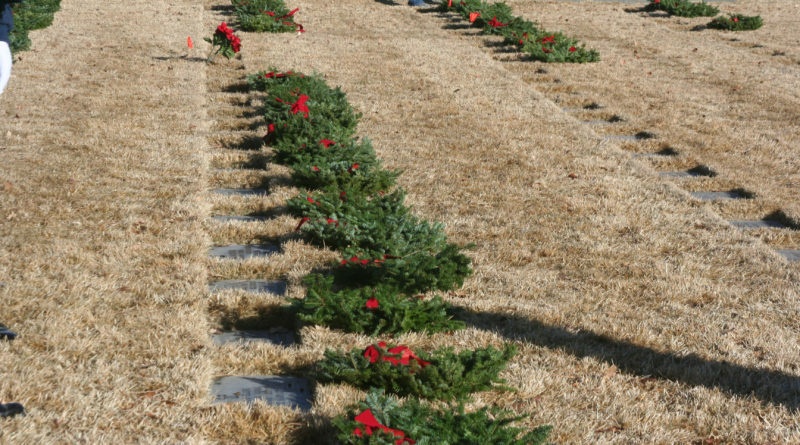 One of the people placing wreaths was Deborah McGifford of Dayton, who along with her fiancé Randy, placed a wreath on the grave of her husband, James McGifford, a Marine veteran who was killed in a motorcycle crash in 2014. 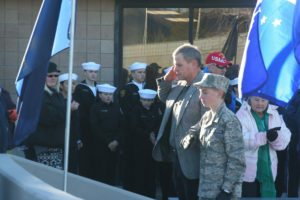 Deborah and Randy said they just returned from a vacation and thought they had missed the ceremony, until they saw a story about it on the news Friday night. 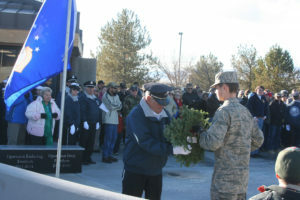 Nicole and Justin Pilkington brought their daughter Presley from Livermore, Calif. to place a wreath on the grave of Nicole’s grandfather, Al Huss, a military policeman in the U.S. Army who fought in World War II. 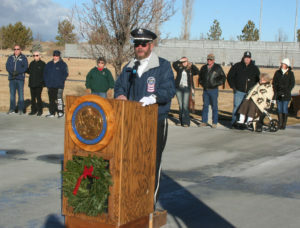 Draughon opened his remarks with a request for a moment of silence, to remember the fallen, prisoners of war, missing in action and honor those who have served and are serving in the armed services. 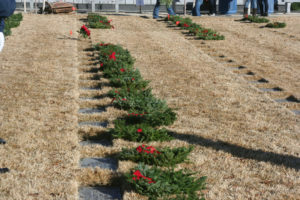 Draughon read part of a letter from Karen Worchester, Executive director Wreaths Across America apologizing for the delay in delivering the wreaths. 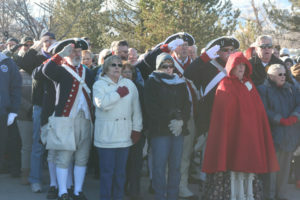 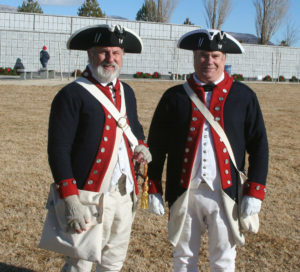 Also among the crowd that included many active duty servicemen and women and veterans were several members of the Battle Born Patriots chapter of the Sons of the American Revolution. 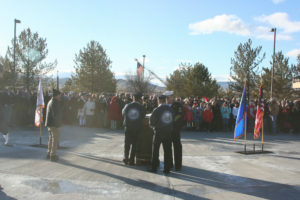 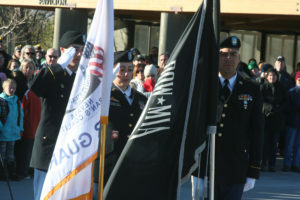 “We love coming out here and doing our bit to recognize veterans and we consider it an honor,” said David Hess, president of the Battle Born Patriots chapter.